Browse: Home / Little sister? Flora gains the upper hand….. Cute idea. Didn’t know you could just stick it to the wall like that. Love Flora’s reaction to all this. 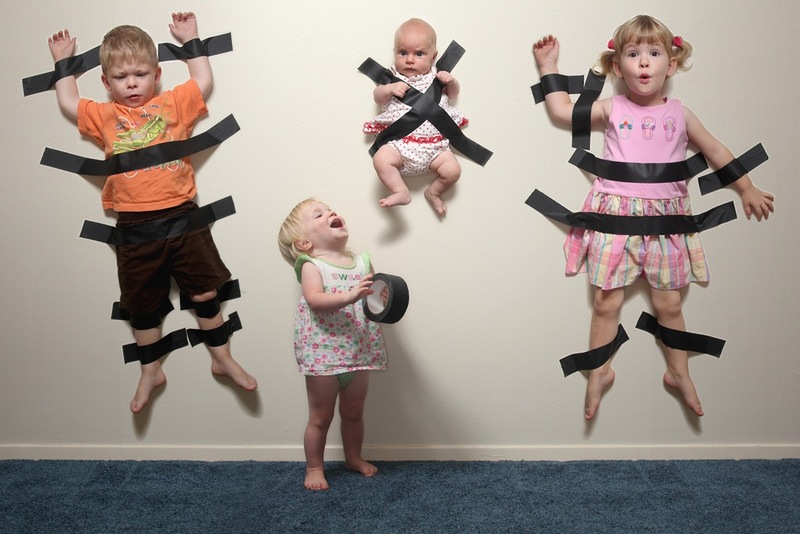 There were times that I wanted to do that to my kids when they were growing up….glad I didn’t have tape big enough then. You could probably win a picture prize for that one. I wonder what Eden will think of the picture when she’s older??? Cute.